Showing up on Google Maps is absolutely essential for attracting new customers. Having your business properly listed and appear in search results can be the difference of making it big and being forgotten. If you run a storefront, hospital or other brick and mortar business, the importance of Google Maps can be immeasurable for people visiting your business. 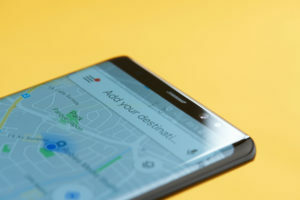 Google Maps is the forefront of trusted information online and showing up in search results is essential to connecting with new customers. But how do get your business to show up on Google Maps? We’ll walk you through the process and explain why online reviews can boost the performance of your listing. Simply put, Google Maps is a free listing service that allows you to appear when people are searching for relevant goods and services in their area. Once a standalone application, Google Maps has evolved into a much more sophisticated and customizable tool called Google My Businesses, allowing businesses just like yours to show up in search results and update their listing online. Google My Business is an almost one-stop shop for people running a business who want to take control of their online presence. With integrations to Google Analytics, AdWords and Google Local (Maps), Google My Business is an essential ingredient to your marketing endeavors. We have a long detailed guide on how to set up Google My Business. This article will focus specifically on Google Maps. Here are the 5 steps you need to take to show up on Google Maps. The first step to getting your business on Google Maps is to make sure your business is not already listed. Many times, businesses have a spot already on the map but haven’t taken the time to own their listing on Google. To claim your business, go to Google My Business and click the top green button that says “manage now” and follow the prompt to create a profile for Google My Business. Once you have a profile, you will be able to search for your business location and name and claim your location. Note: New businesses or new locations will probably have to be added to the index so don’t expect a listing if you are just starting out. If you do not already have a location, you will be able to add it at this point. Click “Add your business,” and follow the instructions. You will be asked to include the country, street address, city and category for your business. Remember, a business is only allowed to be registered in the city where it has a physical address. Make sure your business’ name, address and phone number (NAP) are all correct. Have you ever had a situation where you tried calling a company from your phone only to find out it was the wrong number? Even worse, you might drive to the address provided hoping to get a product or service, only to learn you were not given the correct location. Would you try to go back to that business? If your business relocates or changes phone numbers, make sure to stay on top of your listing and change it. Nothing erodes trust faster for a consumer than not being able to contact or locate your place of business. Near the bottom of the form to create a new listing, you will need to choose a category for your business. This helps Google and users know what kind of business you operate. This is extremely important for Google’s ability to display your listing when people search for relevant terms. For this reason, Google offers preset categories for each industry for you to select from. If you aren’t fully satisfied with the options provided, just select the best one for now. You will have the opportunity to add up to five categories or keywords later in the process. Google will send you a postcard with a verification PIN to the location you provided in 1-2 weeks. You may also be given the option to receive your PIN via text, though this is not always applicable. Once you receive the card, verify your business location right away by following the instructions on the card. You would be surprised how many businesses throw away their verification PIN because an employee thought it was junk mail, so make sure to communicate with your staff that you are expecting something important from Google. Congratulations! You are now on Google Maps. While this is an important step to doing business in today’s digital world, having your business show up in local search results isn’t guaranteed. You will want to continue to optimize your Google my Business listing as well as get quality reviews from customers to move up in the rankings and have your business show up first in local listings. Online reviews are a ranking factor for things like organic search results and to show up in the coveted “snack pack” that Google offers searchers. Need Help with Your Reviews or Listing? Binary Fountain offers business a simple way to manage their online business listings with our patented reputation management software. We know that using by using our platform, we can help you reach your business goals. If you are like most marketers, business leaders or c-suite executives, chances are you still feel like your digital marketing efforts could see a better ROI. You may even feel like your team isn’t utilizing the most current marketing trends and strategies to get the job done. 2019 is shaping up to be an exciting year in the digital space, with exciting advancements to how companies can engage with potential customers. 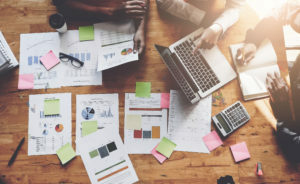 As you finish up your digital marketing plan for the new year, you need to take advantage of these new marketing trends and strategies that can help you connect with your audience frequently and for maximum impact. This shouldn’t be surprising, but most people prefer having advertising and a customer experience that is tailored to their needs. Despite this being common knowledge, so many companies are not taking advantage of it! Here’s the reality: if you want your business to stand out from the competition in 2019, you need to prioritize personalizing your content marketing. 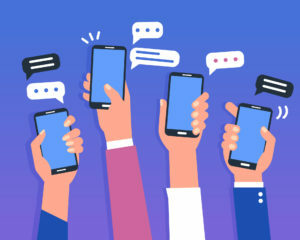 This has been a marketing trend for a while, but it has never been more important as more companies begin to catch on to the power of unique messaging. This means marketing departments need to put their money into content production to ensure emails, landing pages and paid advertisements are designed to appeal to the right user at the right time. For example, if you are running a primary care practice, you can send your patients a note congratulating them on their birthday thanks to email atomization. It’s a small gesture, but can go a long way in nurturing an important relationship with a consumer. Another example would be to think about any time you login to your Netflix account. Think of all the personalization, with recommended shows, the “continue watching” queue and even announcements of new content. They have an amazing model for encouraging their audience, and while you may not run a TV streaming service you can take the core concept and apply it to almost any industry. Your customers will reward you if you can let the old strategy of spray and pray emails go the way of the dinosaur. If you are used to buying digital advertisement, you know it can be an extreme pain to manage all of the different places where you are running your ads and the people you have to deal with to get placement. Programmatic advertising solves this problem with machine learning that automatically decides which ads to buy and how much to pay for them in real time. Programmatic advertising also means you are able to split up your ad spend across different domains and target specific audience segments. Many studies suggest that programmatic advertising will eventually take over almost all of digital advertising spend by 2020. If you aren’t using Programmatic advertising, it’s time to get on the bandwagon. Speaking of atomization, you may have noticed the little guy at the bottom right of your screen. That is a chatbot, and its purpose is to easily and efficiently answer your questions, even outside of normal business hours. Chatbots are AI programs built to communicate with users who send them messages in SMS, chat windows and other mediums. They can be programmed to respond to different types of messages based around certain keyword phrases and even create the right response based on the contextual information to be as helpful as possible to a user. Chatbots are essentially a never tiring customer service employee who can help your customer find what they are looking for on a website or even order a pizza. 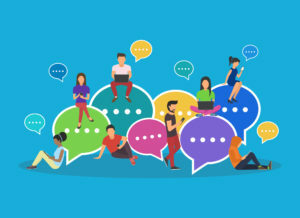 It’s hard to put a value on chatbots because of how diverse their uses can be, however, almost all marketers agree that they are a valuable asset for any business in 2019. While these aren’t a new marketing trend per se, their usage and learning has become more dynamic and easily deployed. 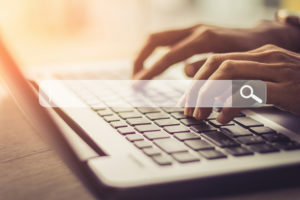 Of course, no marketing plan in 2019 is complete without taking control of your online presence with a reputation management strategy. Most consumers think an online review is just as valuable as a referral from a friend or family member, so what people are saying about you online matters. With the integration of voice search into daily life, it’s never been more important to show up at the top of local search results. One way that you can increase your odds is to have sterling reviews of your products or services. 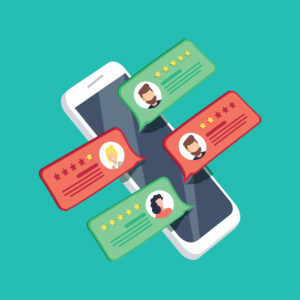 Our proven software helps companies just like yours manage online reviews in one place, making it easier for marketers to respond to reviews and engage with consumers. If your goal is to increase your visibility online or gain actionable insights about how to improve your consumer experience, 2019 is the right time to invest in an advanced reputation management program. 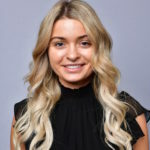 Ready to Jumpstart Your Marketing Strategy in 2019? If you are ready to jumpstart your digital marketing strategy this year, check out one of our webinars about digital marketing trends you don’t want to miss. We cover topics like optimizing your Google My Business listing and how to market millennials. Building a great website is extremely important for patient acquisition, SEO and ultimately growing your practice. A great website needs to be intuitive for the user and optimized for mobile usage. 52% of the world’s website traffic is accessed via a mobile phone device, meaning if you aren’t building a website that is mobile friendly, you aren’t reaching potential patients. Google also announced mobile first indexing this year, which means that focusing on a quality mobile experience has never been more important. Instead of measuring a website’s superiority by its desktop experience, Google will now focus on the mobile experience as the key performance indicator for ranking. Utilizing the proper design, including H1, H2 tags and paragraph text matters. Naming images the right way and adding ALT text also matters. Try to keep your load times to 3 seconds, which follows Googles Quality Guidelines. There’s nothing better than someone telling you that you’re doing a great job. Equally, nothing is worse than getting a negative review. 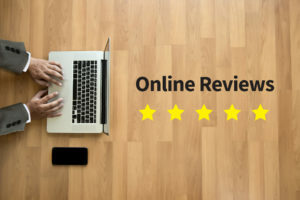 Online reviews help patients make informed decisions about their care and most trust an online source as much as they would a friend or family member. 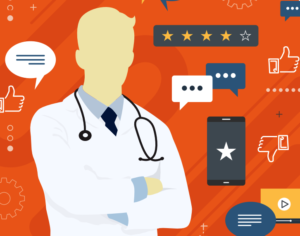 Paying attention to the volume and quality of your reviews online is extremely important, and it’s also a huge part of local SEO for doctors. The first thing you are going to want to do is make sure you’ve set up a Google My Business page to make sure you are showing up in the local pack (the special search result feature that shows a map with businesses on it) and monitor your reviews. Once you have a Google My Business page, make sure you set up a Facebook Business page and claim your Healthgrades’ profiles for your physicians. These are going to be crucial for people searching for healthcare providers using those platforms. When people are looking for a healthcare provider, they are looking for quality and volume of reviews. So are search engines. The good news is when it comes to controlling your online physician reviews, Binary Fountain can help. Binary Health Analytics provides healthcare organizations like hospitals and physician practices a 360 view into patient feedback from online ratings and reviews all in one place. We give our clients actionable insights on how to improve the patient experience to get quality online reviews, improving your online reputation and SEO rankings. Schedule a demo to learn more about we can help improve your online reputation. Having this information correct on your website doesn’t seem that hard, but you would be surprised at how many practices or medical facilities have incorrect information. Additionally, there may be some local listing websites that do not have the correct information on them. Try to find these and correct the information so potential patients and search engines are not confused about details pertaining to your medical facility. One of the most important aspects of a good SEO strategy for healthcare providers is meta data and schema markup. These elements help inform search engines about your business and what kind of service you are providing to your community. This can enhance your search results and improve your chances of ranking in local search results. Similarly, using schema markup can help your website appear in local search results. We recommend using Physician schema on your provider pages and on pages with good healthcare content on them. For physician schema check out this guide. For general information about medical schema, you can check out this guide. Last, but certainly not least, you need to create quality, unique content on your site. This means not copy and pasting content from other resources and not using the same content on every page. If you must have copied content due to resource constraints or budget, you should have “NOFOLLOW” tags on those pages. This tells search engines to ignore the page and not index it. This means users can still navigate to the content on your site, but not have it rank on search engines. We recommend at least 96% of your content be unique across your entire domain. In August, Google announced an algorithm update, which greatly impacted the medical industries’ rankings. This means holistic or “natural” health websites were penalized in favor of credentialed medical institutions. You can improve your rankings and there’s no time like the present! Let our reputation management experts help your SEO efforts by giving you the tools you need to improve your reviews online. Most of us do not need to be told that a good digital experience is key to providing patient-centered care. But how do you even decide where to begin, let alone design, test, deliver, and refine a patient experience that makes the crucial difference? If you want expert advice on what to do, and in what order, watch our webinar entitled How to Optimize Your Digital Patient Experience. In a discussion that is sure to inform, educate, and stimulate, you will learn practical approaches for unifying your organization, implementing a patient-first vision, and creating the change you want to see. This practical and very timely session is hosted by SHSMD U Webcasts, a service of the Society for Healthcare Strategy & Market Development. 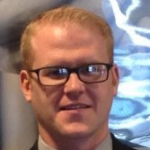 The presenters are Joseph Jacobellis, Director of Experience & Innovation, HCA Healthcare, Jackie Martin, Principal, Branch Strategy and Aaron Clifford, SVP of Marketing, Binary Fountain. 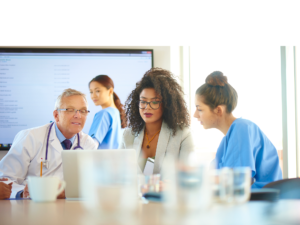 These experts will help you understand – and unite your organization around – an important truth: today, improving the digital patient experience is a business challenge, not just a digital marketing challenge. They will also help you with advice on first steps, teaching you how to plan, design and execute a program that delivers a patient-inspired digital experience. What impact has social media had on businesses over the last few years? Think about it like this: millions of people use social media platforms each day, and with the invention of smartphones, people have almost 24/7 access to social media. The good news is, most of these people are using social to engage with brands just like yours. In fact, HootSuite found that 80% of Instagram users follow at least one business on the platform. The impact of social media on businesses is almost immeasurable. Social media is a fast, inexpensive way for you to reach your potential customers. Having the right social media strategies can help you grow your business and your online reputation. The biggest benefit of using social media is that it humanizes your brand and shows people what you do is more than a company logo. Using different platforms to create real human connection is the most important benefit your business can gain from using social media. Social media gives you the ability to showcase how your product or services have already improved the lives of your current customers while also encouraging others to improve their lives in the same way. That can have a huge impact on your business. Start by posting a video on your social accounts of current customers talking about how you helped them solve a problem, and position them the hero of the story and your brand as the guide. By showing others how you impacted someone else, you can be sure you will attract more business. A word of advice: not everyone can post catchy, 15-minute chef videos. You need to build your presence on social media so you’re established as a subject matter expert in your field. It’s also important to think about user intent. Social media users are looking for engaging content that doesn’t go too deep into detail, but provides emotional value. This is a completely different mindset than people who are searching online for details about a product or service. Keep that in mind before posting. Social media platforms give your business the power to reach potential customers every time they check their profile, meaning you have almost limitless opportunities to connect with fans. According to some studies, people check Facebook alone almost 14 times a day. We know users are plugged into what happens on social media, but that doesn’t mean they want or are excited to see your content. It does mean, however, they are interested in what their friends and family are doing. Customers are using social media like they would word-of-mouth referrals to choose businesses. When you are able to get people to interact with your product or service on social media, you increase the likelihood that other users will see it, too. Thus you build a connection you wouldn’t have had before. Additionally, there are probably people in private groups and messages asking for recommendations for products or services like yours. Having a good profile on social media and a well laid out website will help you put your best foot forward. Posting regularly and keeping your posts entertaining will help you develop the kind of following you want to grow your brand—and a community to support it. If you watched Mark Zuckerberg’s testimony before congress, you know Facebook makes their money by selling advertisements, not from selling user data. If you’ve ever paid for advertisements on Facebook, you know that would be true based on your bill. The reality is, paying for advertisement space on social media networks is a great way to impact your business, especially if you are interested in boosting your brand awareness. It can be hard selling executives on paid advertising because “social media is free.” If you are struggling with this conversation, try framing it like you are putting money into a vending machine, but instead of getting your favorite guilty pleasure snack, you get your money back plus additional money. Basically, it’s the old adage of you have to spend money to make money. Unlike billboards and other conventional marketing, however, paid social media is easy to track in dashboards. Paying for social advertisement also allows you to be more focused in your marketing efforts, allowing you to reach new audiences by finding people with similar interests as your current customers and placing your business in front of them. Using retargeting and custom lists, you are able to continue the conversation with customers based on their individual behavior to show them the right product or service at the right time. Perhaps the most valuable part of social media isn’t what you say to your audience, but rather what your audience says about you. Nothing can be more valuable to your business than real time feedback from customers who are already invested in your business. Comments, messages, and engagement rates all can help inform how a product, business, or idea is being received by the audience. Here’s the truth: your customers are already talking about you online. By engaging your audience when they have concerns or complaints, you are showing other people you are willing to take action to please customers. That goes a long way. Similarly, if someone is saying good things about your business, you can reaffirm that sentiment by thanking the person that left the comment/review to highlight how much you appreciate your customers. Simply put, social media is a chance for you to highlight the positives of your brand and quickly react to negative feedback given to your business. Remember, if someone says something negative about your business, respond politely and professionally. Do not engage in a flame war. Do you need help managing your reviews on social media? The reputation management experts at Binary Fountain are here to help you make a positive impact on social media for your business. Thanks to our advanced software, we are able to monitor your reviews on social media websites and on review sites like Yelp to give you a holistic view of what customers are saying about your business. This means your team will have more time to act on the insights you get to improve your business and can spend less time collecting data. We have e-books and other resources available for business owners and marketing professionals who want to do a better job managing their online reputation. Get started today!